You’ve probably heard about Katherine Johnson, the NASA mastermind mathematician who calculated by hand the flight path for John Glenn’s orbit of the Earth and the Apollo flights to the moon. 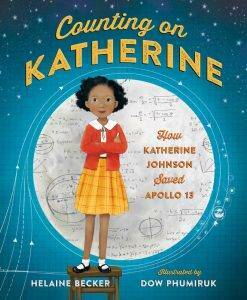 The new book Counting on Katherine (Henry Holt) beautifully shares Katherine Johnson’s inspiring story. And even though I hate to let go of my copy, I’m giving you a chance to win it! To enter this random drawing, submit a comment to this blog and share one word that describes how excited you would be to win this book. Send your comment by 11:59 p.m. on Wednesday, August 1. Good luck! Have you tried Storyline Online? Your students can watch big-name actors and actresses as they read popular children’s books. Plus you’ll find teacher’s guides and activities too, all free. Visit storylineonline.net. Create Jeopardy-style quiz games for your students with Factile. 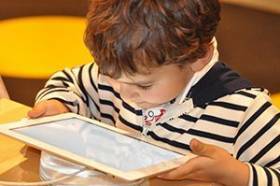 This free platform helps you assess students’ understanding and use games others have created. Play along at playfactile.com. Help student stay safe and healthy with free resources from Health World. These free units cover germs and your body, fire safety, online safety, and more. Visit safetysmart.healthworldeducation.org. I might not be an astronaut, but finding fun freebies and giving away prizes always is a blast! PS: Giving a shoutout to one of my favorite blogs, Free Technology for Teachers. Author Richard Byrne does an amazing job of finding great stuff. Take a look here! Great book to tell girls they can achieve what they want! Go girl???? I try to include STEM into my lessons regularly. This book will encourage students to push themselves to reach their dreams of math and science. Read alouds can strengthen student relationships and conversations. Also this book would have plenty of opportunities to learn about careers. Wow… I was not aware there was a book written about her! What a way to show students that no matter what obstacles they may face in life, stay strong and don’t give up. Blessed. I would be blessed to inspire my first graders who have difficult home lives that they can do anything they imagine to. Especially my girls who come from homes where women’s rights are not as demonstrated. As a new librarian I always love reading new books!!! Ecstatic!! Thanks for this great opportunity! I am thrilled that there is a book about her! Last year I use the movie Hidden Figures to inspire my students. There are many obstacles they are going to face but if they believe in themselves anything can happen!! I was unable to show the movie in class to my second graders but I would LOVE to be able to read her story!! This book should be in every classroom at every level all across the world. I would use it in my high poverty school to show students especially the girls what applying yourself in math can do! I teach at a very diverse school and I have been working to make my class library more diverse so it can better represent the children that I teach. Counting on Catherine would help me in this questions! How sad that she never received the credit she deserved in our history books! Would love to win this!! I would love this book! My daughter’s name is Katherine and my husband is a math teacher. Excited! Love to read book to my class!! Would love to add it to my library!